At the start of the summer David Cameron predicted that the refugee crisis at Calais would last all summer. I thought he was being optimistic, I suspect he knows it himself now. The crisis of refugees/economic migrants/asylum seekers is shaping up to be the defining issue for Europe in the 21st century, never mind the summer of 2015. Given that prognosis, it is all the more worrying how few - if any - politicians are debating and planning for a crisis that will unfold over decades and not mere months. 1. What is the cause or causes of the crisis? 2. What can be done to end the crisis? 3. 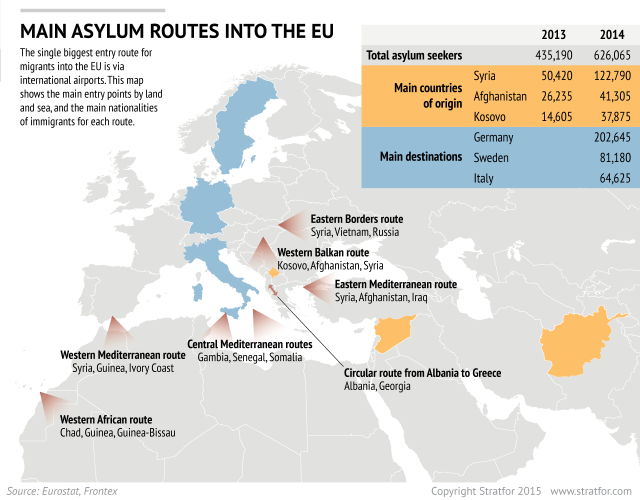 What should be done with the refugees and migrants already on the way? 4. 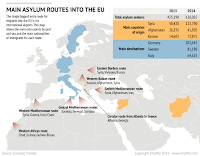 What will happen to the refugees/migrants/asylum seekers when the crisis is over? I don't have answers to all the questions, but I have some thoughts as set out below. Question 1 is a hard one because it requires facing some 'uncomfortable', long-term realities. First of all, some European nations - the UK and France, but others too - have played a key role in bringing about the crisis by participating in American-led interventions in the Middle East and North Africa. For the best part of two decades they have played a 'Great Game' version of 'Whack-a-Mole'. Anti-Western despots in Iraq, Afghanistan, Libya and Syria? Whack. Islamist terrorists rising up from the rubble of the former despots? Whack. Exporting terrorism to European cities? Whack. Mass displacement of populations as Western powers play off one side against the other? Whack. And on and on it goes. Then there's Africa where high population growth combined with weak economic growth means that some 200 million young Africans will be looking for work over the next twenty years. The crisis at Calais won't be over this summer, next summer or the one after that. Meanwhile some 3,000 criminal gangs are profiting from people smuggling activities, a number set to grow as demand grows in turn. Which brings us to the hardest one, Question 2: what can be done to end the crisis? Peace in the Middle East would be a start: but that seems even less likely now that The Great Game has reverted to a struggle between the Great Powers, i.e. : the United States and Russia. As a result, migration has been 'weaponised' as a proxy for direct conflict which means the refugee crisis will get worse before it gets better. More might be done to encourage Syria's wealthy neighbours such as Saudi Arabia, Jordan and Kuwait to increase the number of refugees they have offered to take from their current level of absolute zero. And of course economic migrants from Africa will keep coming so long as economic opportunities are scarce at home - so the opening up of trade relations, foreign investment and technology transfers with Africa will help, but not any time soon. Building fences won't end the crisis on their own either: people will simply go around them, so the problem will be displaced from one European country to another. Replicating Australia's Operation Sovereign Borders campaign (whereby the Australian navy rescues illegal immigrants at sea but transfers them to locations outside Australia) would probably work, but only in the short run given the growing scale of future migration. Nevertheless, the number of illegal immigrants dying on the way to Australia has fallen from thousands to practically zero since the policy was put into practice: as a result Australians have not witnessed the horror of a young child like Aylan Kurdi washed up on their shores. It is unlikely, however, that all EU nations will agree to such a policy and so Irish navy ships will continue to rescue African migrants and deposit them on Italian soil. The countries that have opened the door widest are places like Germany and Sweden, which are motivated by a different theory of moral obligation: A utilitarian universalism, which holds that the world’s wealthy nations have an obligation to accept refugees, period, regardless of whether their own governments bear any responsibility for the crisis that produced them. But it has the disadvantage of being completely unworkable over the long run, as Europe is beginning to discover. The utilitarian theory is blind to the realities of culture, the challenges of assimilation, the dangers and inevitability of backlash. It takes what is a deep, long-term issue for European society — one way or another, over the next century the continent will have to absorb large numbers of new arrivals, from Africa especially — and brings things to a crisis point right now. And then it tries to evade that crisis by treating dissent as illegitimate, which only works until it doesn’t: One day you have a pro-immigration “consensus,” and the next a party with fascist roots is leading Sweden’s polls. Which is probably why everyone is fixated on Question 3: what should be done with the refugees and migrants already on the way? As the MEP Daniel Hannan recently observed, Germany has effectively 'thrown the doors open' by its recent announcements, and the result is that Europe's immigration policy has effectively been sub-contracted to the people smugglers themselves. That doesn't bode well: incentives matter and if the message going out to the Middle East and Africa is that you 'everyone's welcome' then 'everyone' who wants to will come. I predict a boom for the human trafficking 'business' in the coming months and years. And worse, I predict more Aylan Kurdis as well unfortunately. By the way, Ireland has sub-contracted its immigration policy to the UK thanks to our non-membership of the Schengen area. Given the non-existent border between our two countries then whatever the UK decides in terms of its immigration policy (including a resolution to the crisis in Calais) then it effectively becomes our policy too. All of this means that debates about how many refugees Ireland, Germany or anywhere else should take are short-sighted at best. 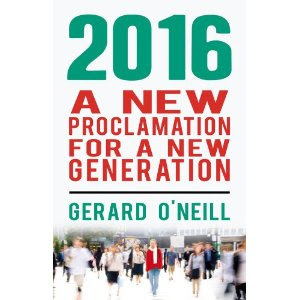 Some 35,000 people migrated to Ireland in the year to April 2015 from 'the rest of the world' (i.e. : from outside the EU, USA, Canada and Australia using the CSO definition) and somehow we coped. So the question isn't whether Ireland should take 2,000, 5,000 or 20,000 refugees this year, rather the question is: how many will we take next year and the year after that and the year after that and so on for years and possibly decades to come? The honest answer is: I don't know. But no politician is honest enough to even ask the question in the first place. As Douthat observes, Europe has unwittingly brought to a crisis a simmering issue that would otherwise have unfolded over decades. No wonder everyone is avoiding the hard questions. All this is happening at a time when economic prospects - and taxpayer resources - are already quite weak in Europe (outside of Germany that is). Should recession return to Europe (and let's face, it hasn't been a great recovery since the last recession) then European politicians will be faced with much harsher trade-offs than at present. Germany will spend €10 billion on refugees this year alone. They can afford to, for now. Still, this is another reason why Ireland and Europe needs a plan: no matter how generous individual people are in welcoming refugees, it will be taxpayers in general who will fund their needs in the long-run. And so on to Question 4: what will happen to the refugees/migrants/asylum seekers when the crisis is over? The answer based on past waves of migration is that they stay, have children and assimilate to varying degrees (or not sometimes). Every migrant or refugee is motivated by the same thing: to enjoy a better, safer life for themselves and their families than if they stayed in their home country. And often that's exactly what they get, so why would they go back? The other side of generously welcoming economic migrants (as opposed to refugees from war and famine) is that their home countries end up losing some of their most talented people (as we have in Ireland down through the centuries). Today, Africa's Catholic bishops are appealing to their young people to "not allow false trappings of wealth lure you to move out of your Countries in search of non-existent jobs in Europe and America". Yet another 'unforeseen consequence' of Europe 'opening the doors' is that it may well worsen the situation in Africa that caused the migration in the first place. So back to the plan: what can Ireland feasibly do to prevent the crisis of refugees from the Middle East and of economic migrants from Africa? I don't know, and I'm not sure anyone else does either. And that's what worries me: too many people - in the media, in politics and in the military - are seeking to 'justify themselves' rather than 'become just'. Our little 'island behind an island' won't shelter us from the crises and consequences ahead.